Pattern Shop Revamp and Black Friday Sale! Hi guys! I recently did a little bit of changing and re-vamping of my Etsy shop. After trying out a variety of vintage and handmade items, I’ve been selling mostly vintage patterns for awhile now and decided to officially separate my vintage pattern shop from that of my handmade items (that shop is coming soon!). Since I was never really in love with the old name (Smarvelous Vintage and Handmade) I chose a new name, Paper Doll Patterns, which I think more accurately reflects the shop. 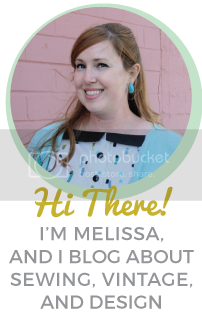 Phillip helped me create a brand-new banner and blog button for a whole new look. 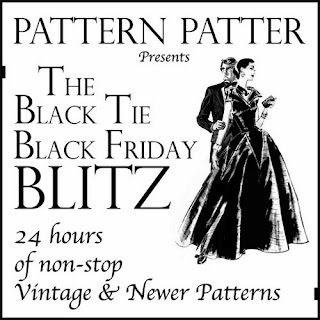 In honor of my shop makeover, I’m offering a Black Friday sale to all of my readers- 25% off of all of the patterns in the shop! The sale will run from Friday through Monday- just enter the code TURKEY25 at checkout. Annnd…for even more great deals on vintage patterns, the many shops that make up the Vintage Pattern Marketplace are holding great sales this weekend as well! There are tons of dealers with oodles of patterns to choose from. Click here to see the list of the shops who are participating. ← Antique Space Update: Christmas Time is Here!